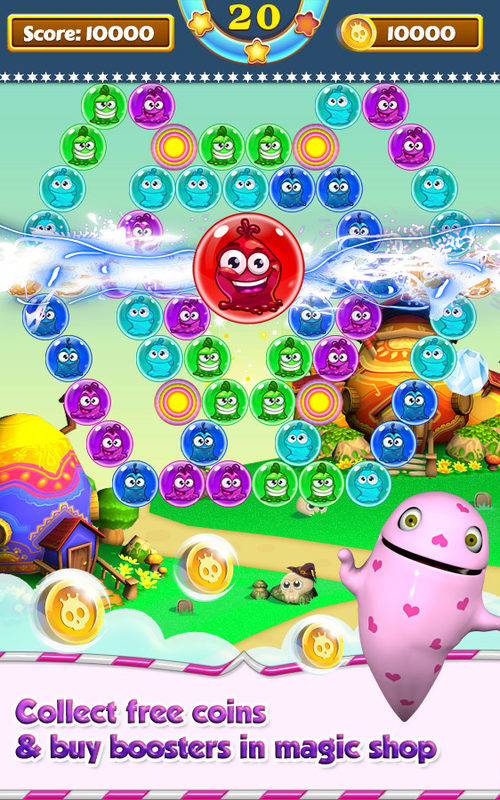 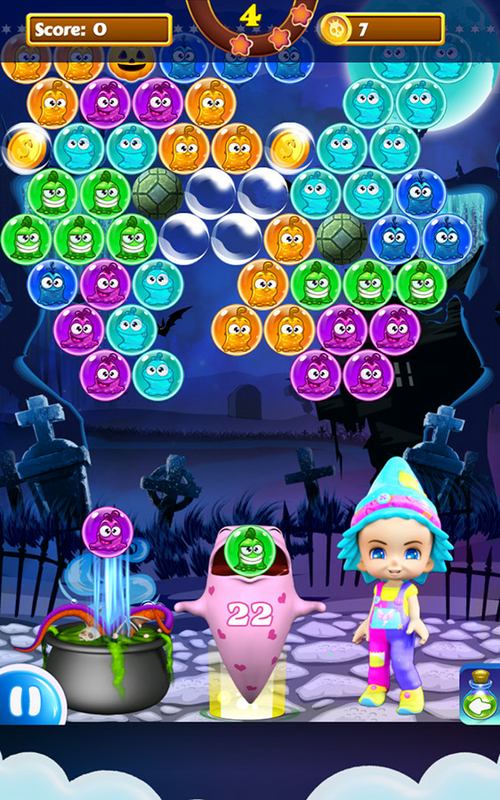 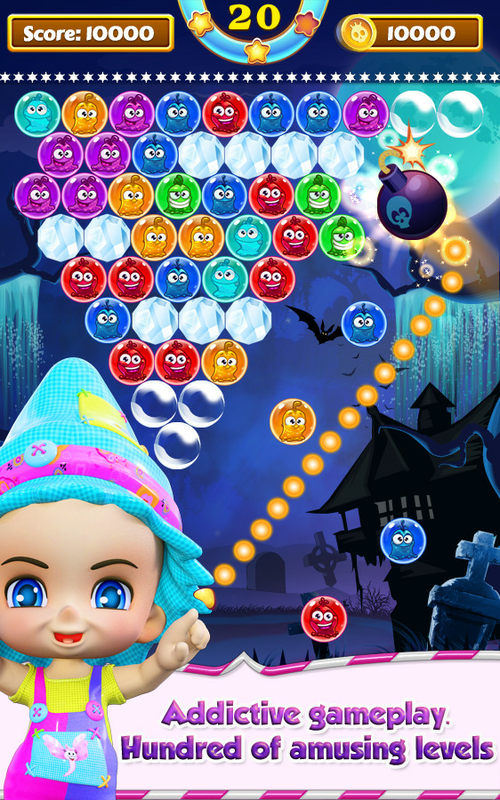 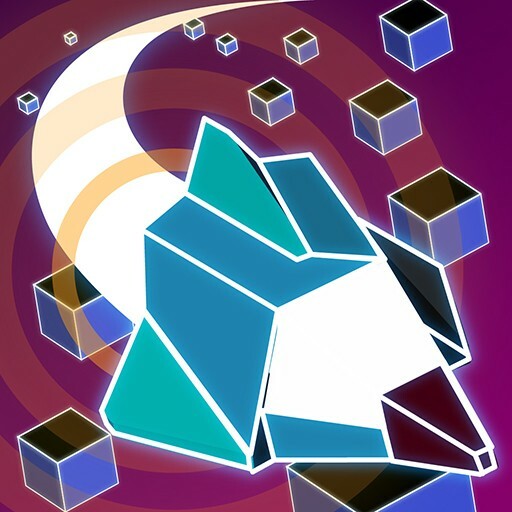 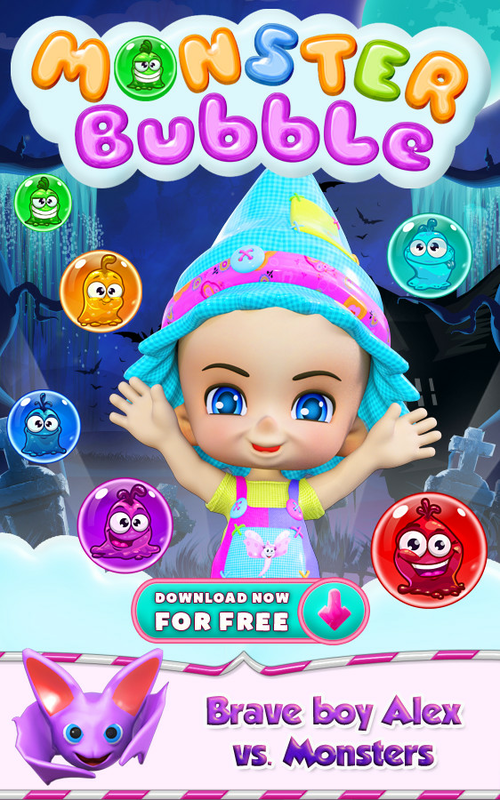 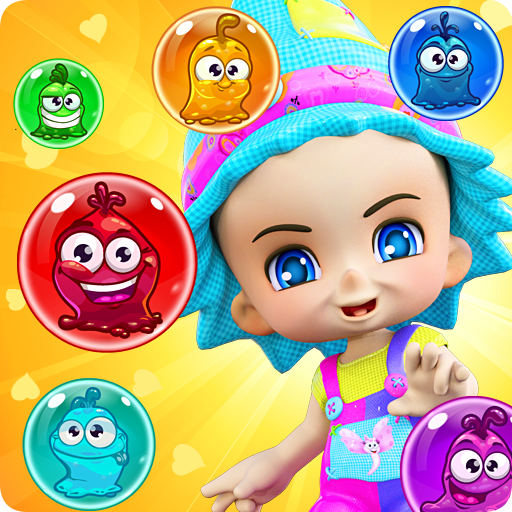 Monster Bubble is an all-new and super-addictive puzzler for gamers to enjoy new experienced popping with creative gameplay. 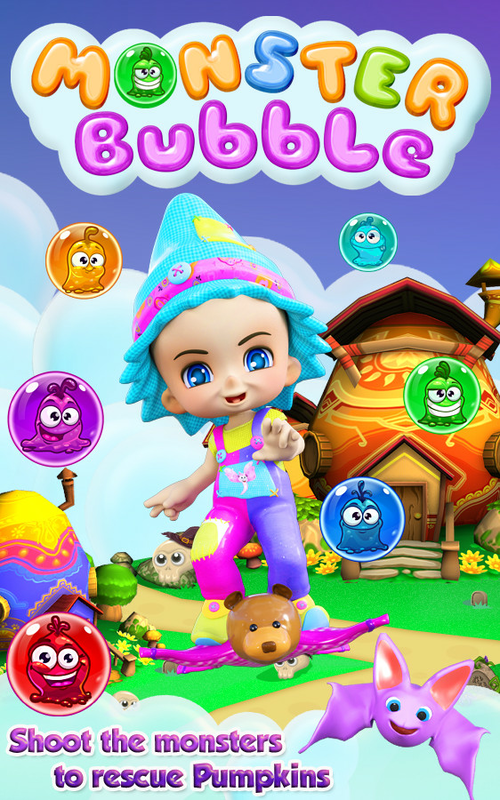 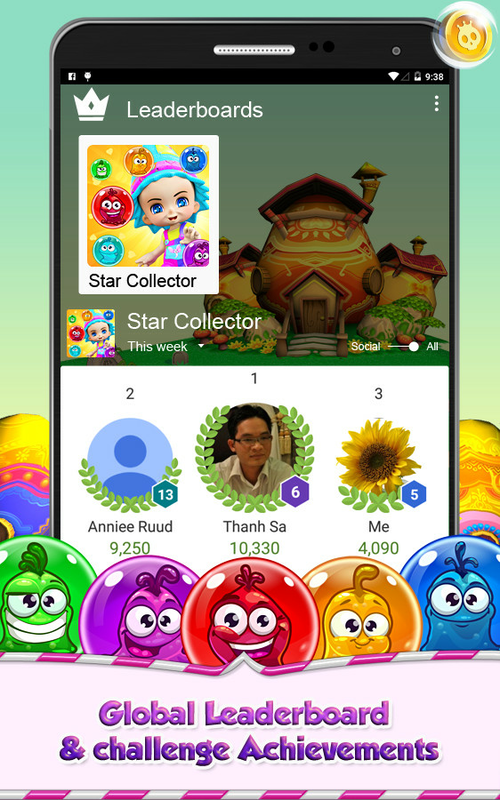 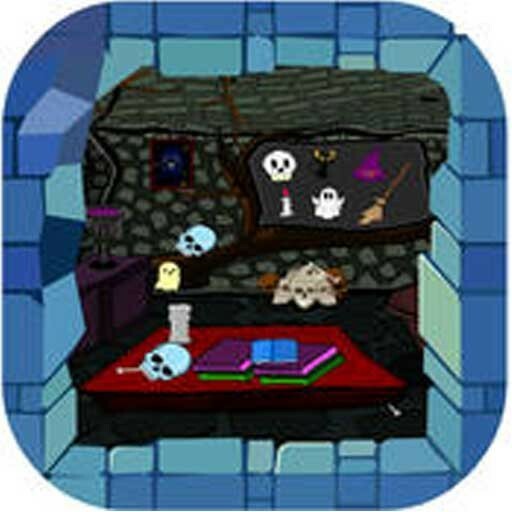 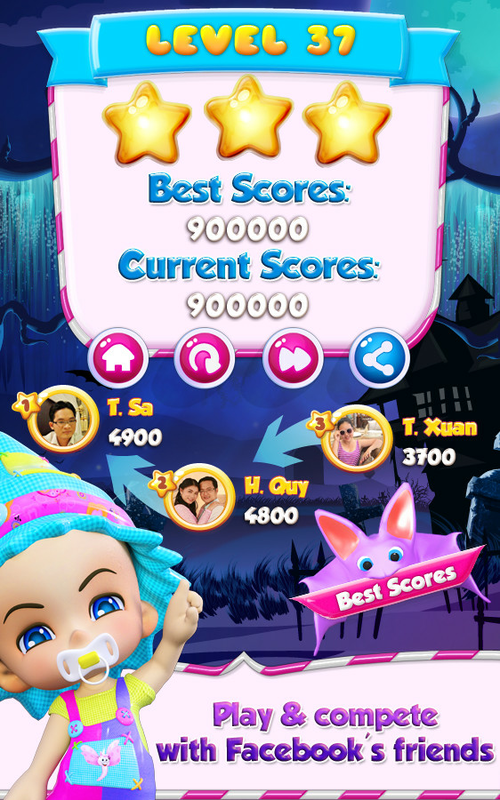 Play this bubble game alone or with friends to share fun & see who get the highest score in mystery world! 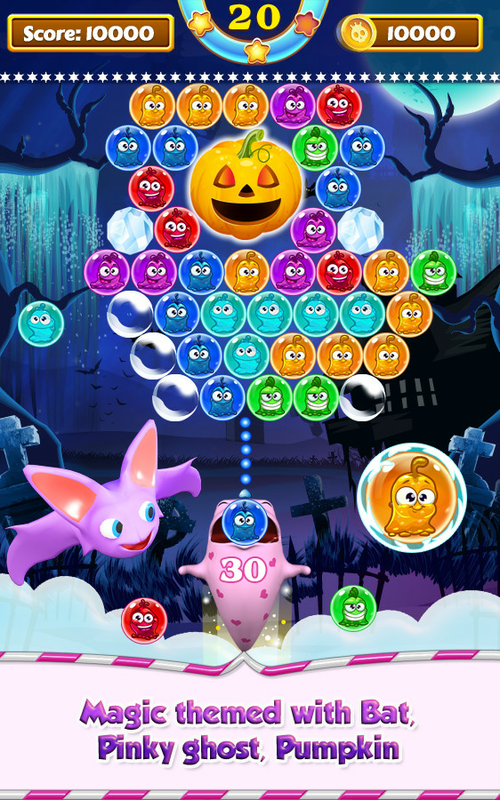 It’s time to join fun journey with Alex, Fun Bat, and Pinky Ghost, beat monsters to rescue Pumpkins, and prevent monster age return!